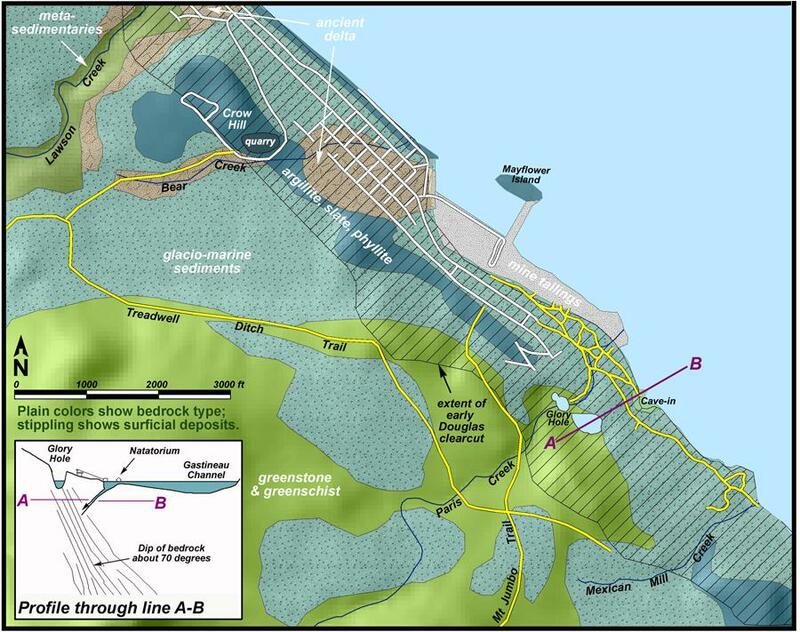 Juneau, AK (KINY) - There was an update from Parks & Recreation and Trail Mix on Capital Chat from Brent Fischer of CBJ and Erik Boraas with Trail Mix with one of the main topics discussed being the continued work on the Treadwell Ditch Trail. The trail was developed for the mining industry but has since become a hiking favorite among locals and visitors alike. Borass further explained that rich history. "The trail was designed to carry water from Cropley Lake up by Eaglecrest and then capturing different creeks as it went along the Treadwell mining area south of Douglas to run hydropower. It's a unique trail for Juneau; it's long and flat, not straight up and down a mountain." There has been some ups and downs on the financing of the project. The City of Juneau had set aside some funding to help reach more goals. Fischer explained the allocations there. "It's a partnership between the CBJ, the Juneau Community Foundation, Trail Mix, and the National Forest Foundations. Trail Mix is actually doing all of the work. We had our temporary 1% Sales Tax for trails and we moved it to the Juneau Community Foundation so that they could do their fundraising; they get some match through the National Forest Foundation and then Eric's crew can facilitate the renovations. "It's about a 17-mile long trail and there is quite a lot of work left to do. We just finished Paris Creek Bridge just this last summer. They keep moving forward; it's a great project." However, there was a recent theft of valuable parts that were being used to build bridges. When that theft had been revealed, Trail Mix put out the message that they didn't want to press charges, they just wanted their materials back and even offered to give some scrap wood if the thieves were really in need. Amalga Distillery, a local brewing business known for their gin, came to the rescue. "We had these bridge kits waiting to fly up to the sites and somebody decided that they needed those parts more than we did. We took anything out of there that we thought people would be interested in." "Then out of the blue, Amalga Distillery called me up and said that they would like to pay for the replacement parts. Big shout of to them for standing up and doing that." There will also be a celebration of the Treadwell Ditch Trail Project at Amalga Distillery starting at 5:15 pm this evening. Find the full Capital Chat interview On Demand.